Prepare your kids to jump into Preschool! 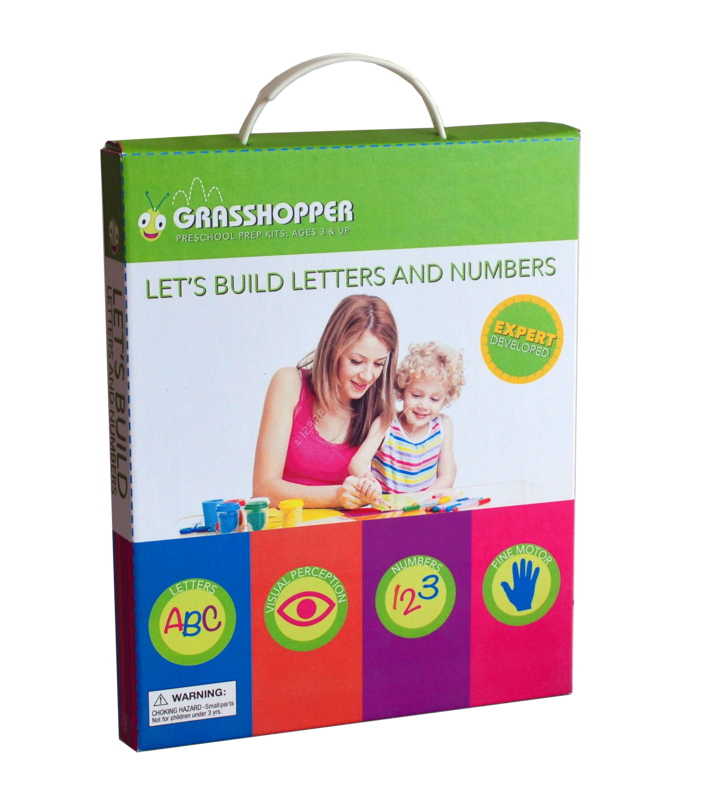 Grasshopper Preschool Prep Kits help kids hone their sensory and cognitive skills. From practicing ABCs to learning to use scissors, our kits set them up so on the first day of school, they’re ready to leap right in. 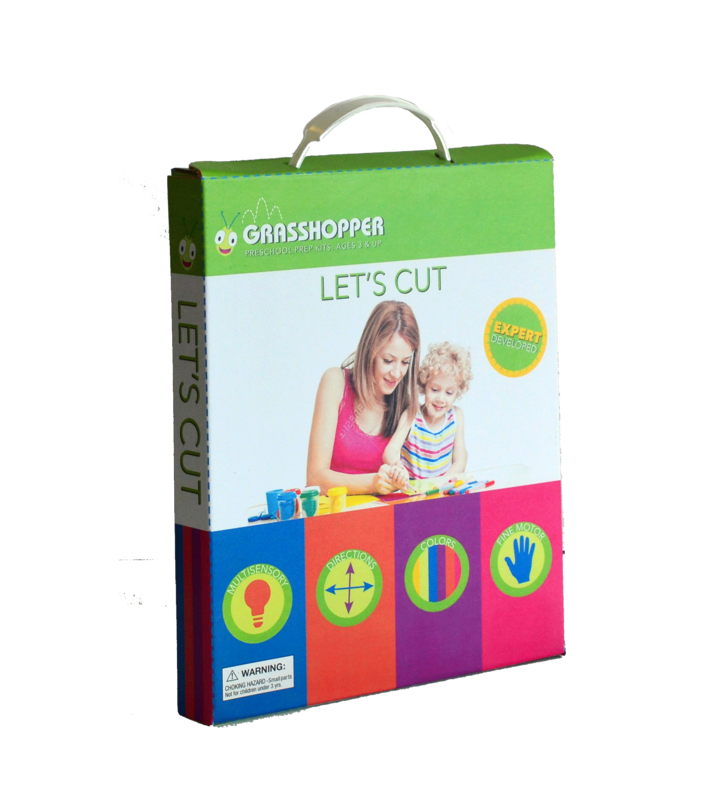 The Grasshopper sets help parents send their kids off to school ready for success! 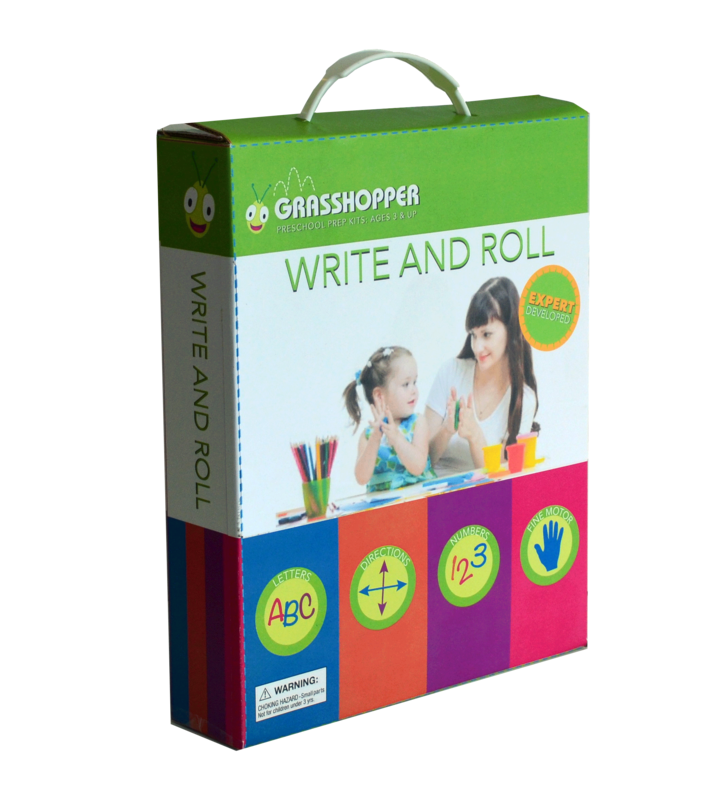 Write and Roll ABCs: is a multi sensory approach to learning to write and letter recognition. Kids roll out the dough to make their letters on wipeable letter cards. 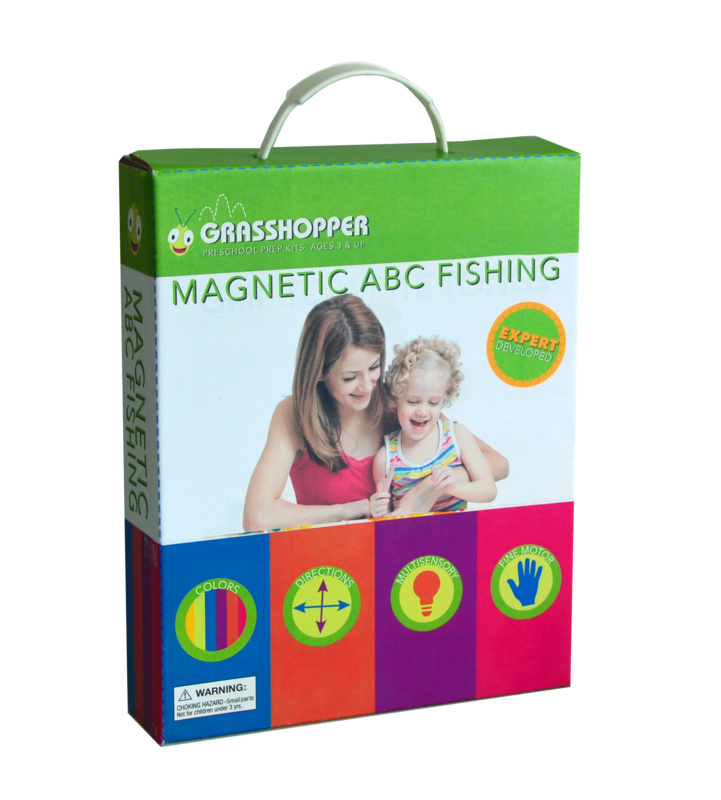 ABC Fishing kids use a Grasshopper fishing rod, with the magnetic worm to pick up the alphabet fish. A hands on fun way to learn letters. 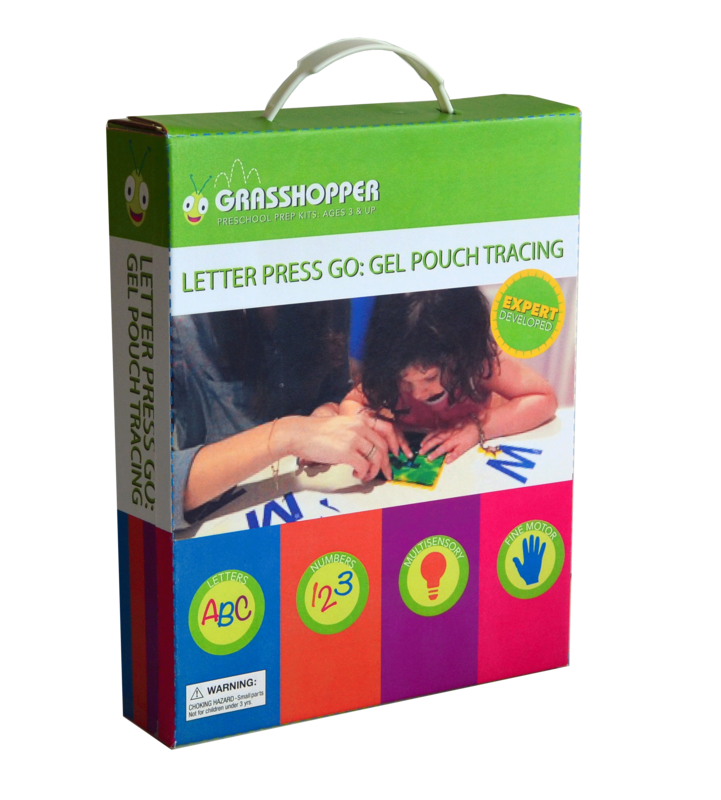 Gel Tracing: kids slide the letter cards into the gel pouch, press out the letters, and they achieve instant success with early writing with no workbooks or mess! Learn to Cut: Has the GH no worry scissors great for righties and lefties that only cuts paper. It is full of cutting craft projects and cutting cards to make learning to cut fun! Build a Series: Children can build letters and pictures using reusable cling stickers focusing on letter and number recognition in a multi sensory way. Precutting with Tongs: This set comes with custom designed tongs to mimic the movement of cutting. 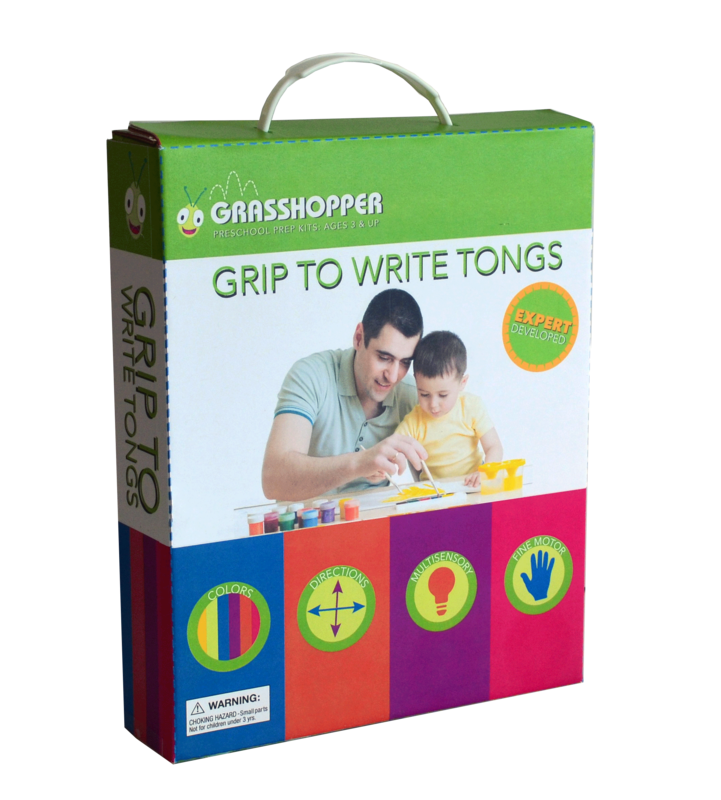 Children can outline the Grasshopper Image using a glue tube and pick up the Pom poms with the tongs. By playing with the GH Tongs kids can master cutting without picking up a scissors! 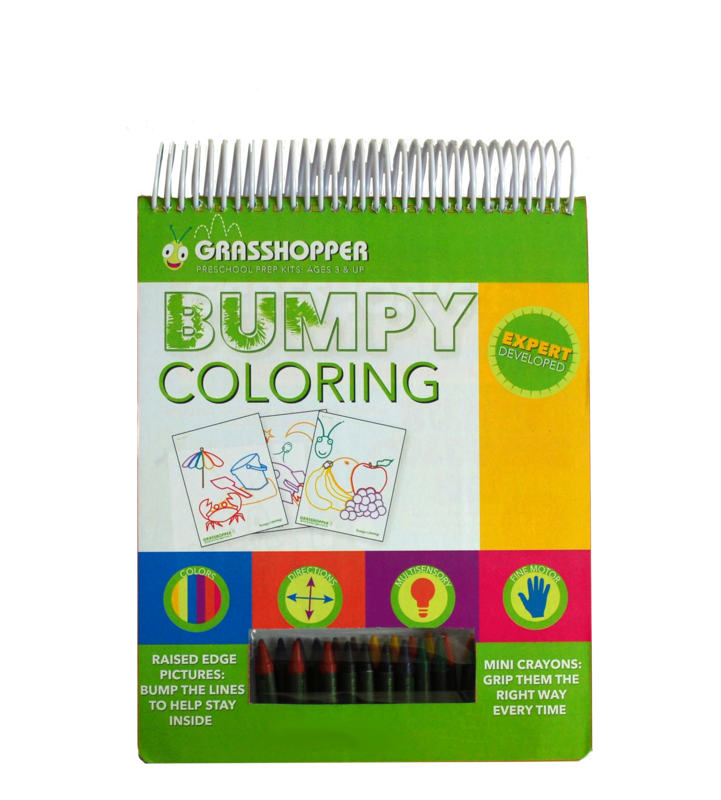 Bumpy Coloring: Takes coloring to a whole new level. Kids can feel the lines to help guide them while coloring. The Set comes with Grasshopper’s Grip Write 2 inch crayons. There is no way to pick these up wrong! 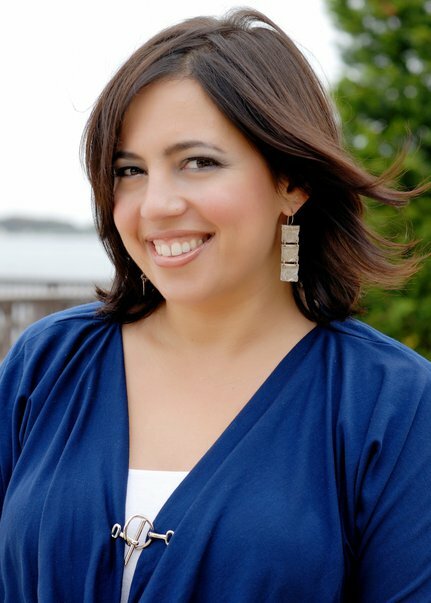 Rachel Rudman MS, OTR/L is an occupational therapist with an advanced degree in early intervention pediatrics. In her private practice, Rachel works with children ages 2 and up helping them develop skills and achieve success to meet their goals. Rachel gives workshops to parents and teachers focussing on topics such as preschool readiness, sensory integration, and early development. Rachel’s philosophy is helping children succeed through play. 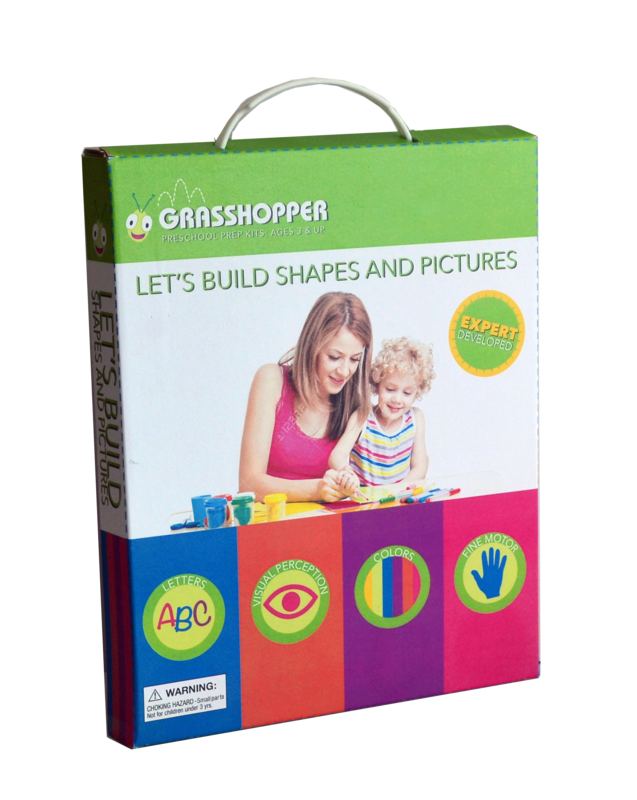 With electronic media on the rise, Grasshopper Kits are the solution for busy parents who want to give their child a head start in school. No pencils, no workbooks, no electronics….100% hands-on fun!